We are committed to true partnership. Star2Star's products, services, and partner program are unmatched in the industry, and our commitment to giving you every opportunity to earn reflects this. You've seen how your customers love the call quality and reliability that only Star2Star can provide, not to mention our industry-leading unified communications (UC) feature set or how simple our system is to use. You know how Star2Star will do all of the heavy lifting so that you can focus on what you do best: building relationships and selling. None of our competitors can match our full-service quote assistance, deal registration and protection, sales and discovery support, marketing program, pre-sales engineering, implementation and installation services, or ultra-reliable solution that just works. You know how much we've benefitted your business, so you know how much we can benefit other partners. Like most highly regarded companies, a large part of Star2Star’s business is the result of word-of-mouth referrals. Our customers and partners are so pleased with our unified communications solution that they share it with friends and associates. 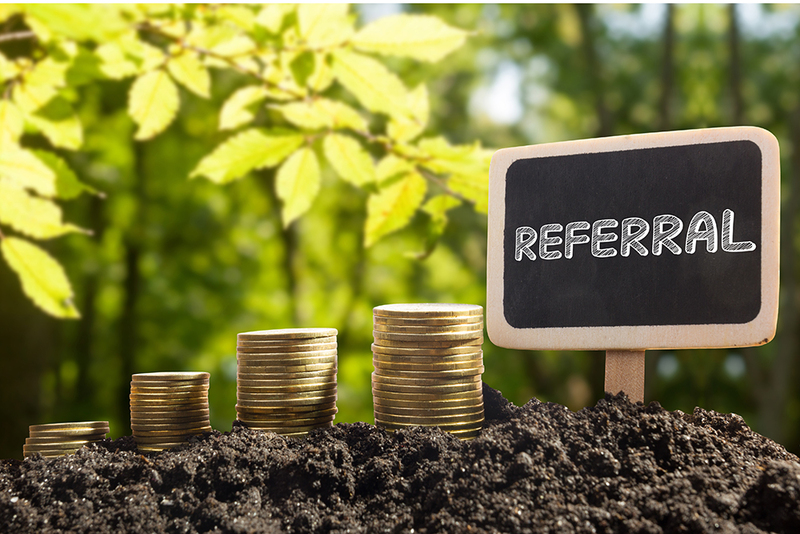 Our referral program is our way of saying thanks. If your referral contact signs up and completes training with Star2Star, we will pay you a $500 bonus and then you will receive 2.5% Uncapped MRR on their sales for the next 24 months. There is no limit to what you can earn! You may register as many referral contacts as you like. Social groups, churches, and other organizations looking for a creative way of boosting fundraising efforts are welcome to join as well. Just complete the form on this page. We will keep you informed of your referral’s status.